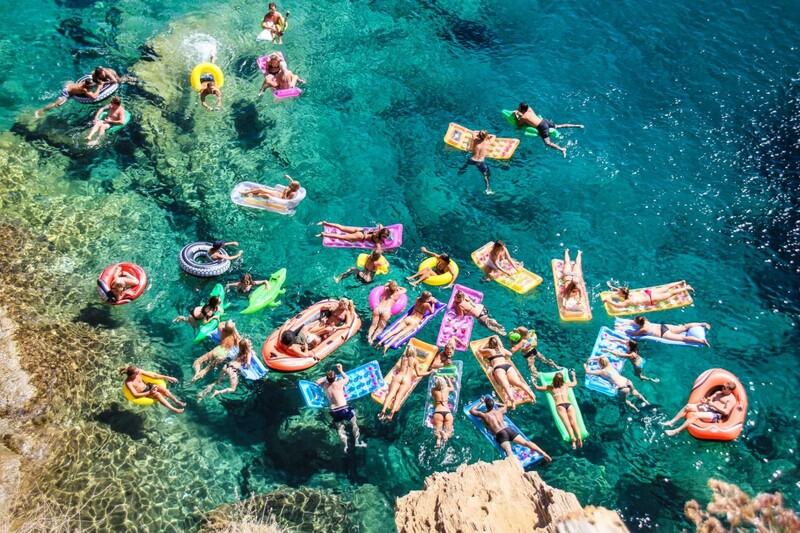 When it comes to Floatopia, it’s all fun and games until someone’s a lobster. Avoid the pink glow and slip,slop and slap. We know how much everyone loves their hipster felt hats, so don’t be shy to don one, whatever floats your boat. When it comes to floaties, we’re talking swans, we’re talking doughnuts, we’re talking literally whatever you can get your hands on that will blow up and keep you bobbing around for a few hours. You can pick up a whole range of floaties on the walk from Chora to Harmony! We’ve seen a lot of iPhones sacrificed to Ios over the years, so leave anything that’s not waterproof at home. Don’t forget when you’re taking your Floatopia happy snaps to tag us at #harmonyios we love seeing your happy snaps. 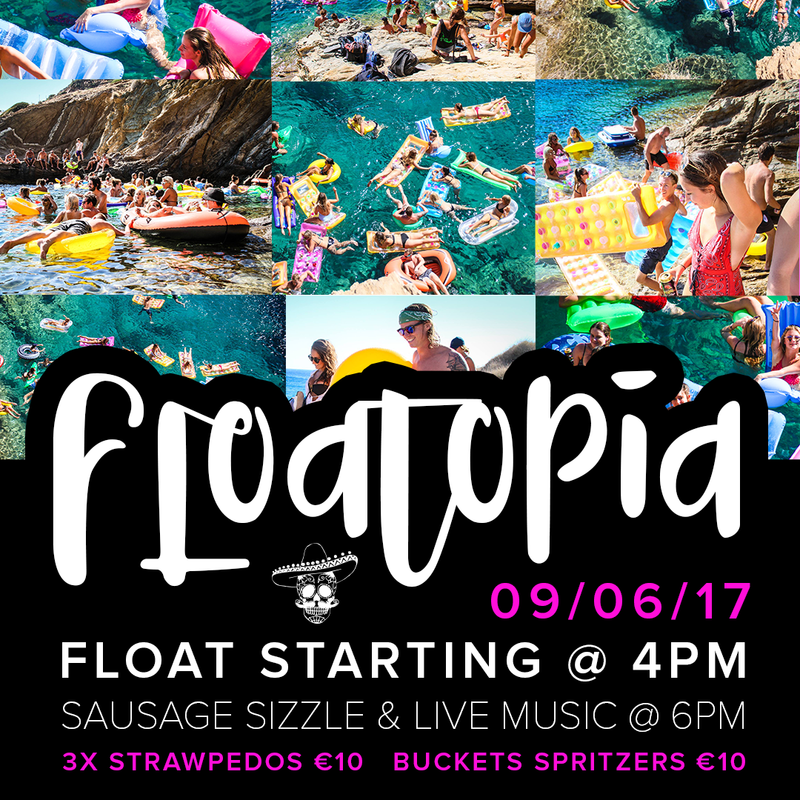 After Floatopia we’ll be kicking on with live music and a good old fashioned sausage sizzle from 6pm, as well as offering some awesome drink deals, and the usual delicious Mexican treats as well. We’re more than happy for you to be getting around in your swimmers, but it’s still a little breezy at night and you’ll want some shoes to stumble home with later. Jokes… Come as you are, we can’t wait to see you. Don’t forget we’re kicking off from 4pm on Friday June 9 2017 with x3 Strawpedos for €10 and Buckets Spritzers for €10.